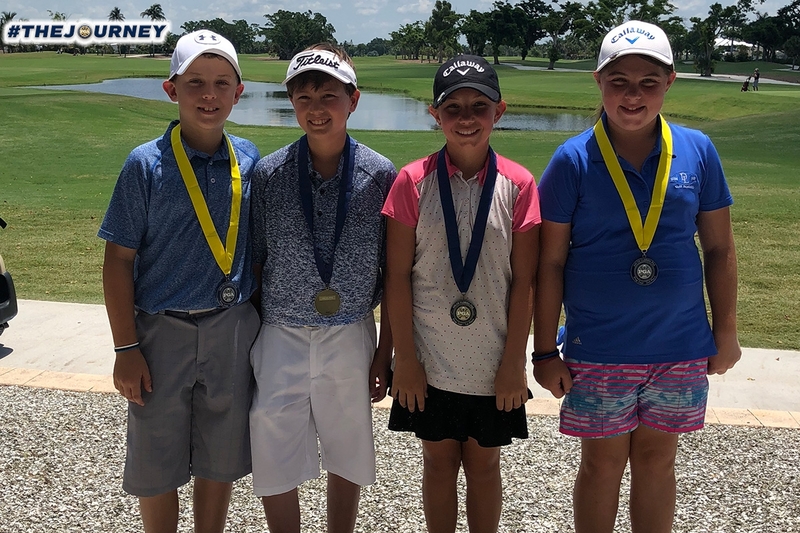 July 14th 2018 - Naples, Fla. – Today, the South Florida PGA Junior Prep Tour presented by The Honda Classic held the seventh Prep Tour Event of the 2018 season at the Naples Beach Club. This event featured a field of 39 players aging from 9-18 years old. The juniors played a successful round of golf on this beautiful July day. Tristian Weiland of Jupiter captured the boy’s 9-10 age division shooting a round of 3-under par, 68. Port St. Lucie native, Jessy Huebner, was runner-up in the boy’s 9-10 age division with a round of 2-over par, 73. Brayden Jenard of Wellington took home the boy’s 11-12 age division with a round of 5-over par, 76. Naples native Ryan Miller finished runner-up in the boy’s 11-12 age division after a round of 6-over, 77. Palm Beach Gardens native Davis Dickinson captured the boy’s 13-18 age division in a scorecard playoff with a round of 6-over par, 77. Patrick D’Amato of Palm City took home the runner-up spot shooting 77 in the boys 13-18 age division. Kayla Bryant of Boca Raton took home her seventh straight victory in the girl’s 11-12 age division after a round of 1-under par, 70. Boca Raton native Madison Lowenstein finished runner-up in the girl’s 11-12 age division after a round of 88. Isabel Van den Berg from Plantation took home the girl’s 13-18 age division with a round of 93. Breegan O’Hearn from Naples finished runner-up in the girl’s 13-18 age division after a round of 96.